The McLennan County Appraisal District has contracted with Tyler Technologies, Inc. to provide street level imaging services. Tyler will conduct countywide property-imaging project to provide detailed, high-resolution street level images for all improvements beginning in February 2019. 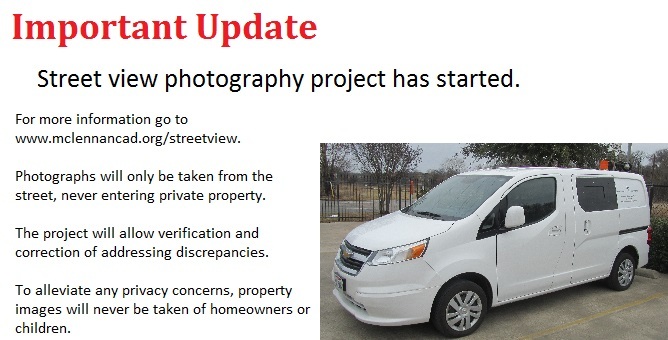 Tyler staff will photograph properties from inside white vans that will be clearly marked with signs indicating they are conducting a photography project for the appraisal district, and will only be taken from the street, never entering private property. Tyler staff are expected to be in the area until May. During this time, they will be in constant communication with the district, providing the county and local law enforcement entities regular information concerning their current collection areas and expected duration. 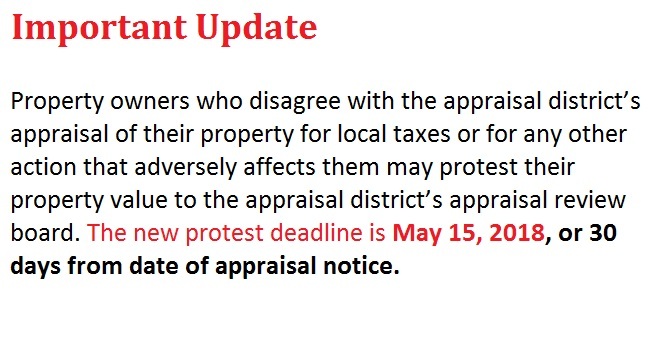 The digital photographs will improve the quality of visual data used by the district appraisers. In addition, the project will allow verification and correction of addressing discrepancies. The photos will be helpful for emergency management recovery reports that are necessary for state and federal assistance. To alleviate any privacy concerns, property images will never be taken of homeowners or children. 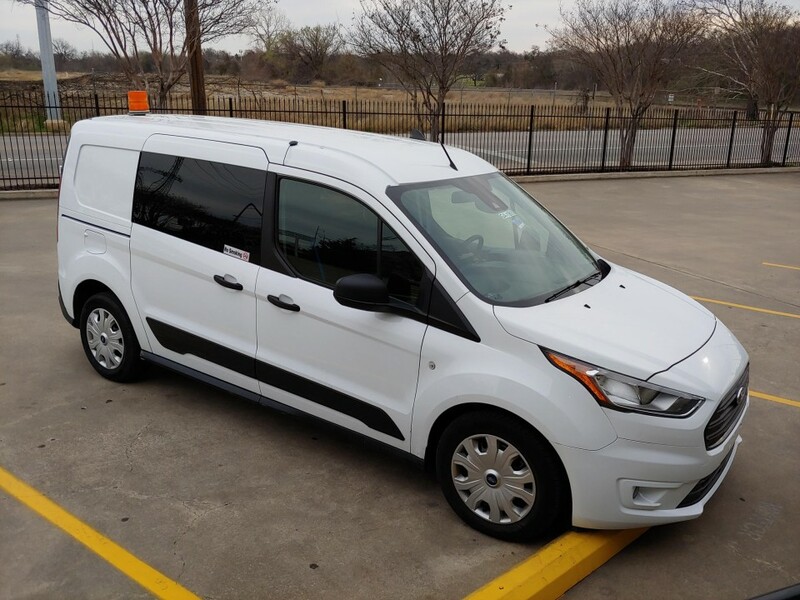 Vans will operate on weekends to photograph public or busy areas if possible.